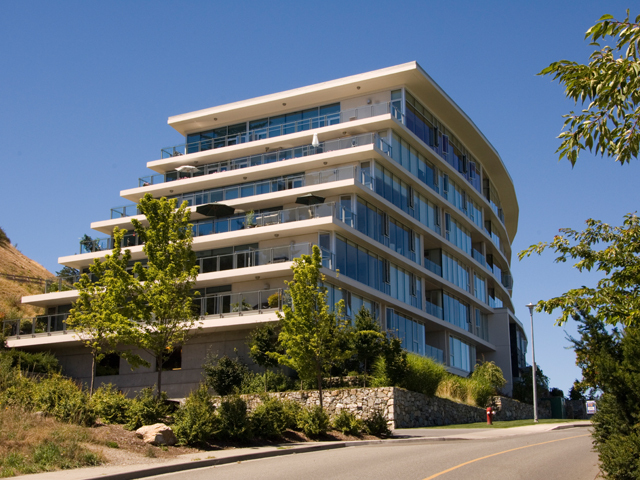 Building 5 is the final building in the series of residences along Sayward Hilll Terrace, consisting of two levels of condominium suites with four suites on each floor over underground parking. The curvilinear form of the building is derived from Sayward Building 10 while its materiality is derived from the adjacent town homes. All suites enjoy spectacular water and mountain views and end suites are designed with wrap-around terraces.